Cam-lok model BCL is a range of key operated removable bollard posts available from Barrier Group Pty Ltd .
Cam-lok removable bollards feature a freestanding design and provide ram raid protection for shop fronts or any location with unwanted vehicle access problem. 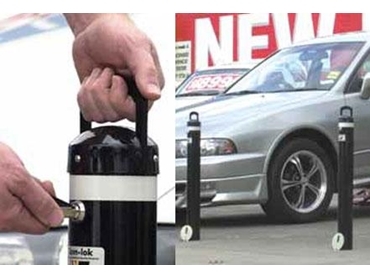 The heavy duty bollards lock into the steel in-ground sleeve via an internal locking system using a high security cam lock with registered keys.